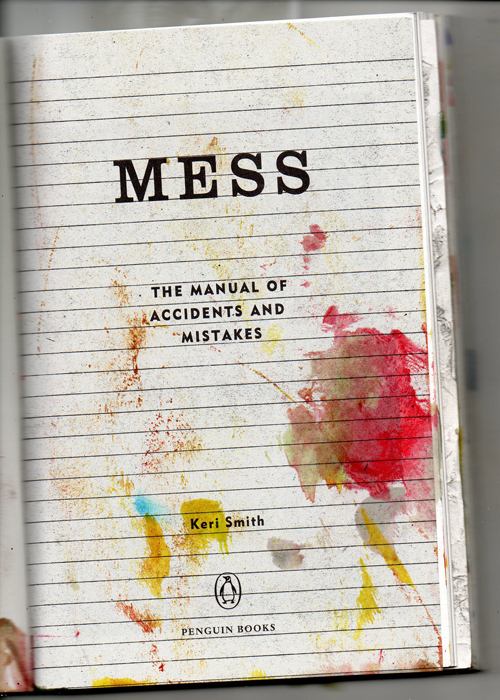 Wright Brain Book Group: Can you mess? It's not easy is it? The temptation to consider and tweak is just too much sometimes. I mean - mixing brown and purple... That's just yuk right? Painting with your eyes shut... Surely not! Nope. That's mess. I'll be the first to admit that it is so hard to actually do this. Has anyone actually put food in their journal yet? This evening I determined to bring back by inner toddler and take lessons from my two-year-old twin nieces. Nana gave them some paints, but they got bored of colour and just pulverised the paper with water. 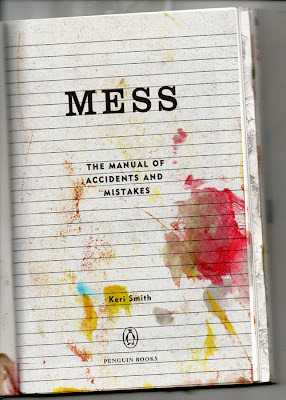 It's mess. They know how to do it! Last week I was far too neat and precise. After all, we're not supposed to be creating works of art. No tutor will criticise our use of perspective and our tonal values. This exercise is about letting go and seeing what happens... And that, my friends, is when it really starts to get interesting! Please share your week's experiences on your blog then link us to the post using Mr Linky below. I've done a separate post on mine with some proving I could let go a bit more (I'm still getting the crayon shavings out of the carpet). While, by no means mandatory, there are a few pages you might want to start sooner rather than later as they are about building your mess slowly! There's the mouldy food in a bag (about 3/4 of the way through the book) and around half way there's a task where you create a drawing over the space of a month. Don't forget the Facebook Group. If you haven't joined already, just friend me and then ask me for an invite. Lisa - How do I 'friend' you on Facebook. I have tried your name, and The Wright Brain Stuff Book Group but no success. Would appreciate help please. Well I finally did it Lisa! Sorry for being so slow, I guess that goes perfectly with Mess. Hi I posted here Mr. Linky wouldn't let me in. Will try later. Where did Mr Linky go??? Well, that's the first step, I'm sure! I am a writer, an artist and a dreamer, a Creativity Coach and maker of meaning. I am on a journey following my heart. It promises to take me to some incredibly exciting places. Won't you join me? Copyright © 2012 The Wright Brain Stuff. All Rights Reserved. Powered by Blogger.